Daily musing, scrivenings, assorted plips, mumbles, squeebs and dialogues of Kim Lang. Teacher, Creative, Parent and Scientist. So it has been a while. Reporting season is always a hectic time and doubly so when dealing with unfamiliar systems. Anyway the bulk of that is past and we’ve had a productive and relaxing long weekend. 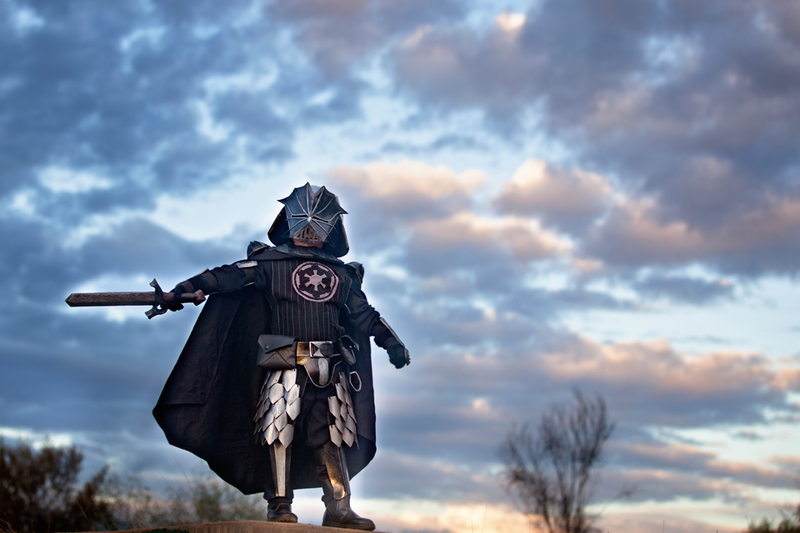 Among the jobs completed which included much pruning of grape vines and ongoing tidying of papers, we have finally got out and done a photo shoot of the completed Sir Vader costume. Which although officially finished for at least two months hasn’t felt done in the absence of good photos and so progress on the build videos had lapsed as well. That has changed as two videos have gone up today, a third will upload overnight and the final will be completed during the week. The painting video is uploading but has hours yet to go and the last video showing detail, donning and shooting of the images is not yet complete. 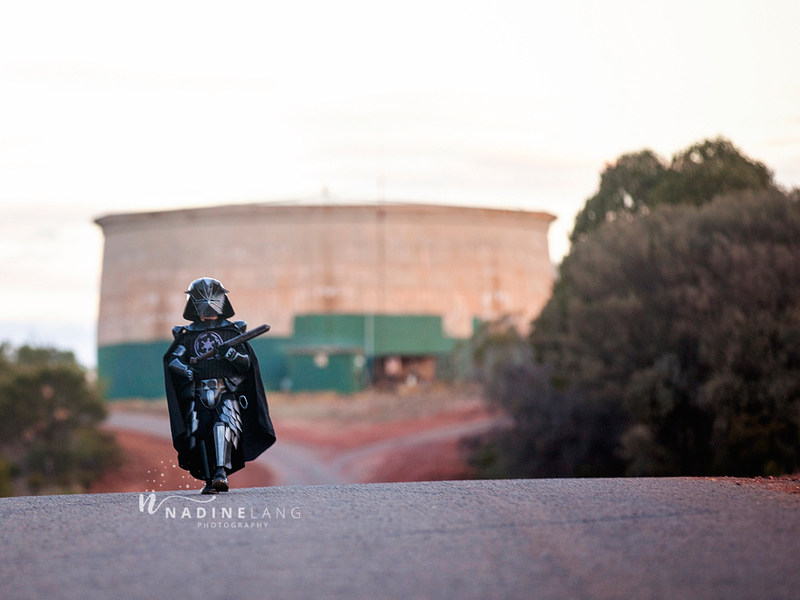 We were lucky enough to catch golden hour ( more acurately 5 minutes) at Cobar water tower. 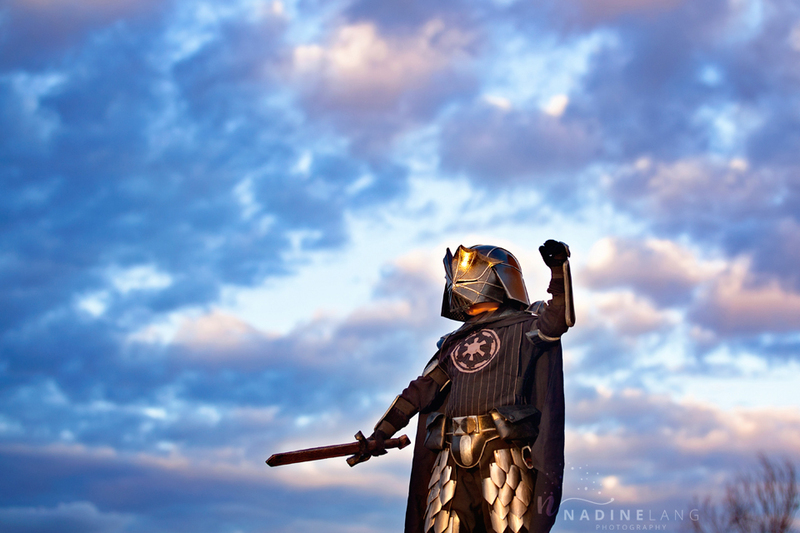 N included watermarking in her fantastic images only at my insistence. More pics to come with the final videos.